Tune in to watch players vie for victory on the tabletop at this month’s tournament. 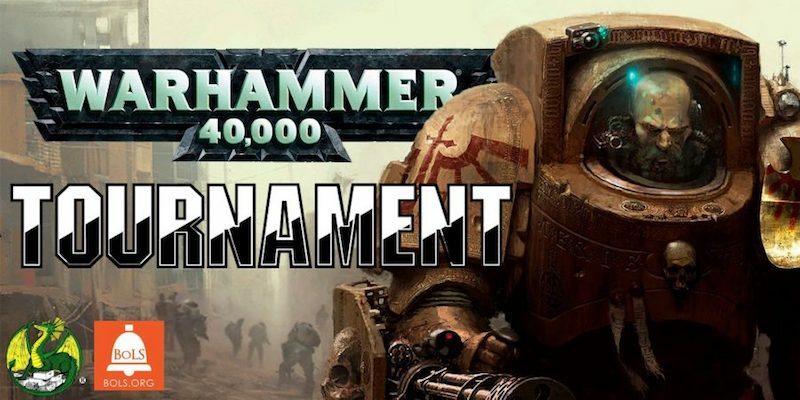 We’re teaming up with Dragon’s Lair for this month’s Warhammer 40K tournament. Join us and watch all of the action as it’s being streamed live on the BoLS Twitch channel! The tournament consists of three 2.5 hour rounds – dice roll on the first game at 10:30a CT. We will be posting the start times for round two and three on our Twitch channel as they’re announced.